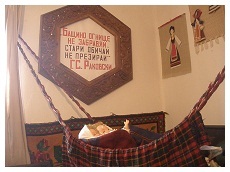 The museum is in the house of Veska and George Pulyovi and it was made in 2004 but the intention of the creation of the museum originated in 1952. Then Veska Pulova started her teaching profession. Her desire to collect things comes from her 100 years grandmother, who used to pass her experience connected with the customs of the people in the past to her granddaughter. 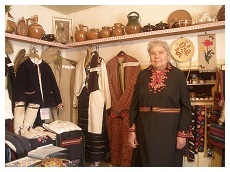 Thus, more than 50 years, Mrs. Pulyova studies, investigates and collects exponents like: clothes, old crafts, agricultural tools and describes customs and traditions, Christians and Pagan rituals. This one can see in albums, pictures, songs coming from the past. 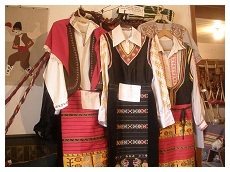 There are exponents that go back quite a long way (100n years) like national costumes. 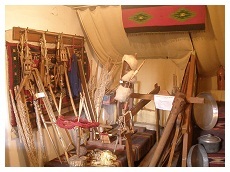 There are a lot of household goods like spinning-wheel, crutch for yarn, card, spindles and distaff. All this was needed to be prepared textile for shirts, pants, rugs, bodices, padded jackets, aprons etc. These exhibits date from the beginning of 20th century. 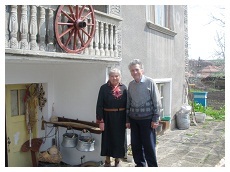 The main idea for the museum is to keep the customs and the habits of the past of Morava village, to keep the patriotic spirits of the Bulgarians, because if we do not respect the past we do not have right to look forward.